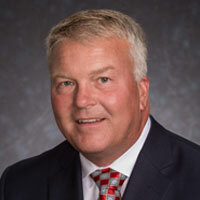 Gregory (Greg) Barkstrom joined LeChase as director of Real Estate Development in July 2018. In his role, he manages the company’s real estate assets and has responsibility for evaluating and managing future development opportunities. Greg has more than 25 years of experience in real estate, most recently managing the retail development portfolio for a Rochester-area firm. He has extensive knowledge in all aspects of development including sale/lease negotiations, property opportunity evaluation and site selection. Greg has a BA in economics from Le Moyne College and is a licensed New York State Real Estate Broker.